"Influenza is not specific to hockey and is by no means an epidemic. 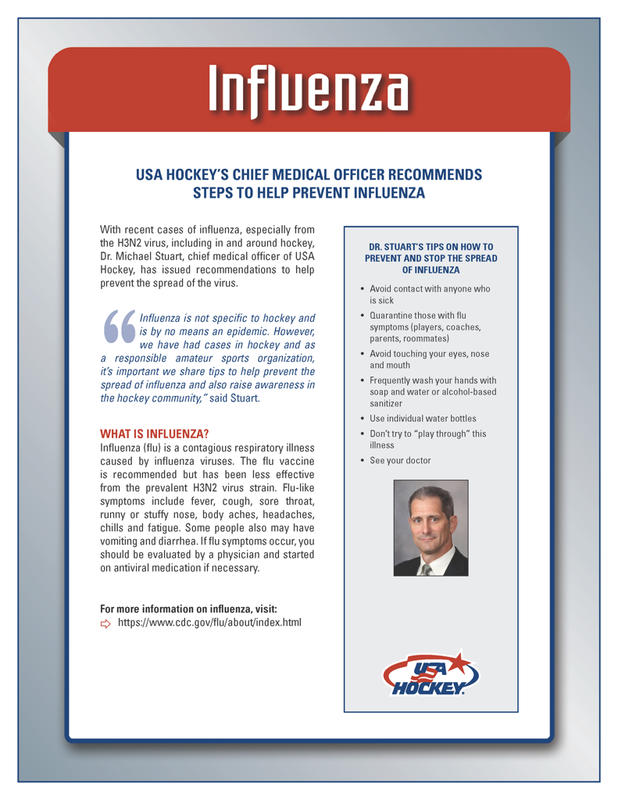 However, we have had cases in hockey and asa responsible amateur sports organization, it’s important we share tips to help prevent the spread of influenza and also raise awareness in the hockey community,” said Stuart. For more information on influenza, visit here.